Recruitment Australia was born out of a desire to reduce the risk and cost of a poor hire. Based in Sydney, we service our clients locally, nationally and internationally. 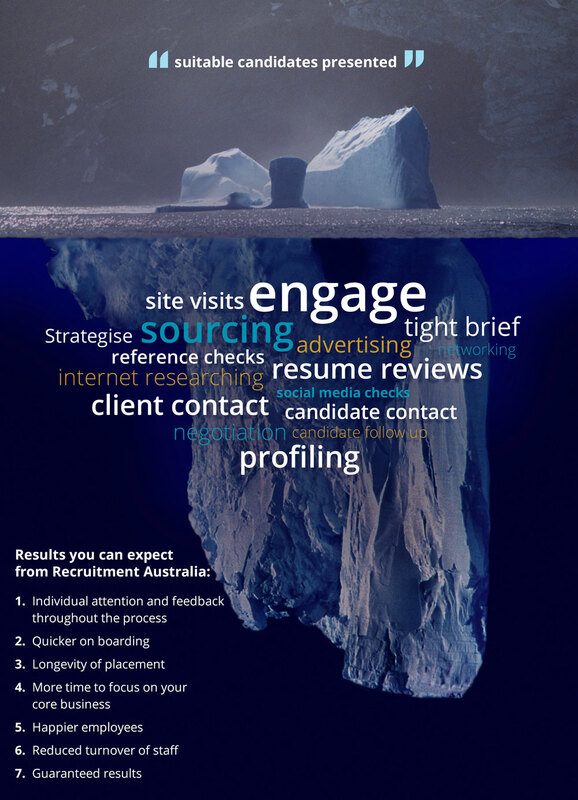 You concentrate on your business while we take care of your recruitment needs. We connect you with the best talent for the job. We will source the best candidates suited for your specific needs.